Enjoy the tropical, palm-lined beaches where the sea temperature is around 27C. All accommodation and meals are included as well the transfer to and from your destinations. You will be staying in two different home stays (guest houses) which will you get you much closer to the local culture than chain hotels. The home stay host will advise you on local activities and help you make the necessary arrangements. You will be collected from the airport by the driver provided and transported to your beach house. 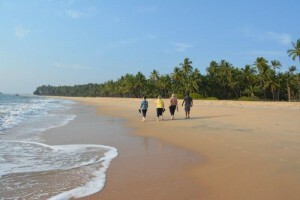 Enjoy the wonderful tropical beaches and the warm Arabian sea. At your discretion, visit the local towns of Thalassery and Kunnar. Europeans first arrived in India around 1500 in this area. A car will transfer you to your new destination where you will spend your second week. 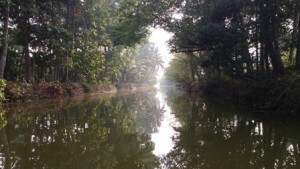 At your discretion, enjoy the backwaters by canoe or motorboat. At your discretion, take a trip into Cochin and enjoy a tour of the old town which includes the Church where Vasco Da Garma was buried.